My career story is unusual, working in the same lab for 27 years! There have been many changes in that time, including project directions from glycans to Alzheimer’s disease, many students and staff, and moving the lab from Monash University (Alfred Hospital) to The University of Melbourne (old Biochemistry to Bio21). The constant in time has been an enthusiastic lab PI Prof Paul Gleeson, and the lab’s favourite organelle, the Golgi apparatus. My role as senior research assistant includes managing the Gleeson lab and support for students at the bench in various research projects, and trialling new projects and techniques, from imaging to MS. The lab studies cell biology of trafficking pathways to and from the Golgi, and the impact of disease when these pathways are disrupted. I’ve always been fascinated by nature and science so that was my focus from an early age. This was greatly enhanced when in year 11, I dropped physics for biology – best thing I ever did! I grew up in country Victoria, and careers in science at the time seemed quite limited. I studied biological science at LaTrobe University, which was a real eye-opener intellectually and culturally. The idea of a career in research evolved, especially after Honours year. I was the first in my family to attend university, so the whole experience was quite daunting, with no family academics as mentors, and moving away from home to the city. I started working at the same time as I met my future husband Larry, along with his two small children in his care. Juggling the expectations of work and an instant family is challenging! Funding is always a worry in the back of the mind. I have been fortunate to have a constant position, but it really does drag down morale when everyone is stressing about future funding. 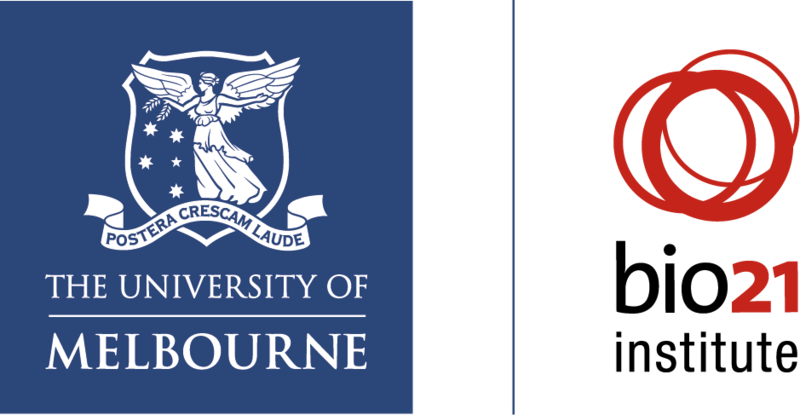 Completing a Master of Science at University of Melbourne while working in the lab, thanks to a very supportive supervisor and home life. Being involved in numerous publications and presenting work at international conferences is not only a necessity but also very rewarding. I love seeing the students graduate and become successful in their own career paths. One of the pleasures of working in an international environment like Bio21 is that I’ve made lasting friendships from many countries across the world. It is fantastic to see women as leaders and positive role models in Bio21 for current and future students. I hope the constant battle for funding can somehow be relieved. The idea that anyone can follow the career path of their choice should be the norm, from the leaders full of ideas, to all the support careers that make the ideas come to life. As a child, my Mum and Grandparents were so encouraging, even though they did not understand academia. I was brought up to believe I can achieve anything I want if I work hard. My husband Larry is a grounding influence! Free-thinking scientists are amazing, and really shape our future, both the internationally famous and young people that work so hard to discover more about biology. This is why networking at an international level can be really inspiring. I love photography and travelling around Australia and the World, so these two passions go hand in hand. When travelling I’ve been able to visit many places and catch up with past lab members along the way, which is fantastic. I spend all my spare time on our farm in Gippsland, where I can enjoy nature and garden in a peaceful space.